One of my really good friends, Lenny, is doing a degree in Digital Media and in her interpretation of the assignments, she intelligently combines ‘analogue’ media with the digital. 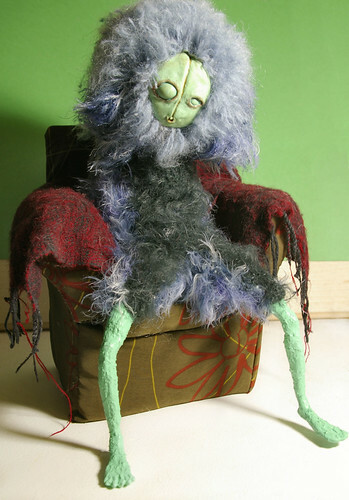 She combines arts and crafts and wool and resin into fully formed beings (human or otherwise) that express strong emotions and strong insights into the human condition. 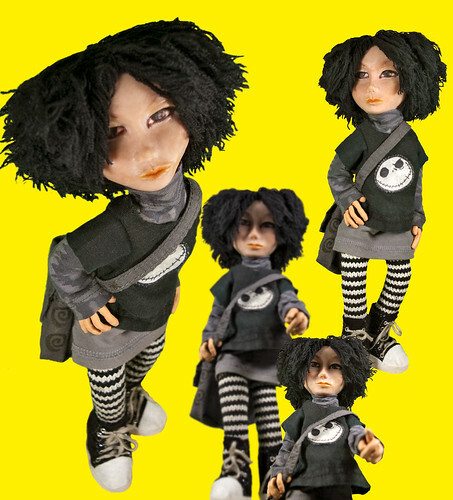 The combination of a huge personality into a small puppet and ameoba-like shapes give her works their own style. The puppets invite the viewer to make up a story about them or, indeed, already tell their own and are waiting for someone to solidify it. The stories can be implied, or in the case of Clara, very well-formed and psychological. Lenny uses the art of stop-motion to tell Clara’s story. 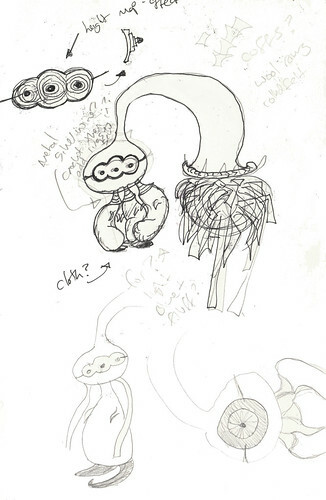 Clara is a bit of a loner, teased by everyone around her and wrought with insecurities. Because of this, she makes her own world from which to escape. Despite the obvious fantastical element, Lenny’s monsters and characters invite us to think about our own monsters and invite us to think about the sometimes very surreal world in which we all, humans, monsters and puppets, inhabit. All images and photography done by Lenny Carter. This is what nerves from a visa application created. 2-5 Work in stockinette 4 rows. you can fix the shape if necessary when you sew it up. To finish: Take a piece of scrap yarn and tie it on the balloon as it if were string on a real balloon. If there are any problems with this pattern feel free to contact me.